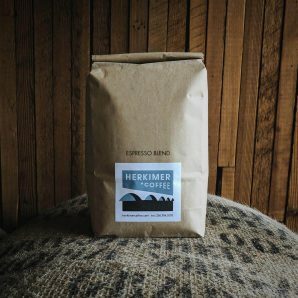 We begin by purchasing premium green coffee from farms that practice traditional old world cultivation methods, growing coffee sustainably in naturally shaded areas. We have found that the best and most complex coffees – the ones we most enjoy and use in all our offerings – come from small farms that grow coffee in this manner. 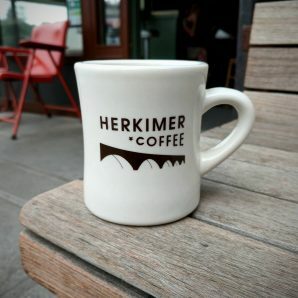 The coffees we buy command a premium price in the market place – a price Herkimer Coffee pays – and that in turn ensures good wages, good workers, and good working conditions at the farms. We negotiate directly with producers, visiting farms and processing stations to cultivate a beneficial relationship for all involved. 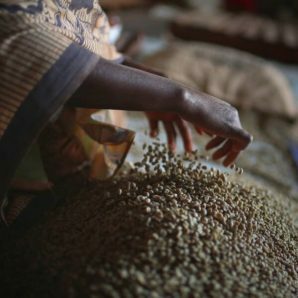 Quality isn’t solely attributed to the green coffees we buy. It also comes from attention to detail. Our staff and wholesale customers alike receive meticulous training on an ongoing basis, and our coffee is roasted daily to ensure freshness. It’s our uncompromising standards in all areas that allow us to offer the exceptional coffee we enjoy everyday. In addition to providing the coffee for our retail locations, we are a wholesale coffee roaster. Our goal is to offer our extensive coffee knowledge and industry experience to help your business succeed. If you are interested, please let us know.